The Horner Road Commuter Parking Lot is situated to west of I-95 and north of Prince William Parkway, a free parking lot, maintained by VDoT. 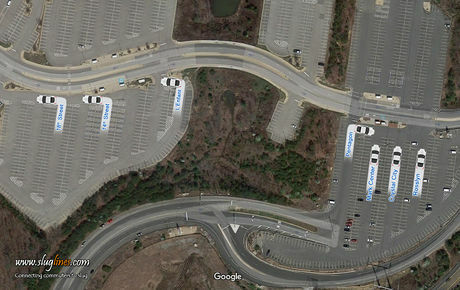 It is one of the largest parking lots in Prince William County having about 3100 parking spaces, but still fills up by about 7.30 AM. This is a very popular lot for slugging and has a ride back for almost all destinations. Due to its popularity and demand, VDoT and Prince William County added another 600 parking spaces in 2015. This lot has direct access to the I-95 HOT lanes.